If you have a business to run and you live in a location where it snows a lot, you need to make absolutely sure that you have a snow plow company that you can rely upon to remove the snow when it does fall. 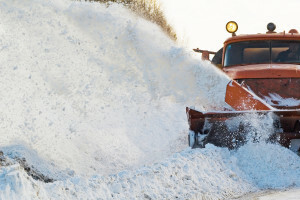 If you do not have a commercial snow plowing service that you know beyond the shadow of a doubt will be out each and every time to remove the snow before you start the business day, you and your company could be in for some real trouble, and may experience a great deal of lost revenue as a result. Do yourself a favor and get yourself a reliable company that you trust to be there and remove the snow when it does happen to fall. Many business owners may think of the costs associated with hiring a commercial snow plowing service and consider the fact that it is likely going to cost a great deal of money, due to the fact that some businesses have large parking lots. However, if the snow is not removed, the businesses employees are not going to be able to get to work and losses are absolutely going to be suffered that day. There are a great number of companies out there that provide this type of service, but due to the high costs, it can seem alluring to simply hire the company that offers the lowest overall costs. This is a huge mistake, due to the fact that if you hire someone to do the work and they are sick or do not feel like showing up, you are going to have a real problem on your hands. Finding a commercial snow removal company in the Ann Arbor area that is going to deliver top-notch service, who you can truly count on to be there each and every time is incredibly essential, so you should do your homework and find a company that people have said great things about. The beauty of the day and age that we currently live in is the fact that every single company has a sort of glass door in front of them, due to the fact that there are reviews online of literally every company. The best way is to simply use internet review sites to locate a commercial snow removal company that has customers that have great things to say. There is no question that this is the best way to find a company that is going to deliver high-quality service and will ensure that you do not get stuck with a company that does not show up. For example, typing in “commercial snow plow ratings in Ann Arbor MI” will likely turn up a bunch of sites that have ratings and reviews for various businesses that are operating in the Ann Arbor, MI area.